Are you throwing your career boomerang out in the wrong angle? People make all kinds of interpretations about others on a daily basis, often based on a single piece of information, a feeling, an impression, a pre-existing bias, or perhaps even a partial story. Undeniably, we are all guilty of it in one form or another, even if we purposely make a conscious effort not to pre-judge others. That being said, interpreting a message and passing judgment on it are two very different things. In this piece, purposeful message communication has a front row seat to the party, particularly in regards to your job hunting & career development efforts. Have you ever stood by and observed a conversation between two people, who although at first glance were seemingly in a deep discussion with one another, were actually not even listening or responding to each other at all? Both consumed by their own reality or objective, they failed at listening to each other, and ultimately failed at adjusting their message based on what would truly captivate the other party. What a lost opportunity! We hear a ton of environmental noise on a constant basis, but how much time do we really attribute to listening to it? Are we guilty of only listening when we are looking for something specific? Selective hearing is no myth, friend! And, although it may be an undeniable fact of life, understanding this reality is a great strategic tool to be leveraged. Admittedly, there is way too much out there for everyone to pay attention to everything. That being said, consciously understanding the how & why behind what captures people’s attention can significantly help you stand out of the crowd in your job search. Make it work for you! Although this rationale could easily be transposed to various realms of our lives including friendships, family relations, dating, or even mundane daily interactions with strangers, it certainly applies to career development, job hunting and interviewing. Most of us have a personal side and a professional side to ourselves. Both have dreams, objectives, skills, fears and limitations, and both evolve in a dynamic environment affected by others. Because of that, new career opportunities and promotions are, more often than not, widely dependent on someone else’s external opinion of our skills, experience, capabilities and goals. In such, making sure that these are well understood and interpreted is a key part of the end result. Don’t let them guess, and likely get it wrong! Tell them! Hiring managers are people too! They too, in turn, have their own agenda at hand. Understanding their context provides valuable insight into how you can market yourself accordingly. Make sure to know what they are looking for in an ideal candidate. If you invest the time in doing so, it will be highly rewarding. What is your actual message? Understanding your own message, purpose or objective is no simple task. True. However, the time you take to understand it yourself, so that you can later verbalize it to others, is an equally great investment to make towards your own professional success. When it comes to your own career, this effort and definition will undoubtedly shine through, if done properly. This is a major part of your personal branding, and it should absolutely be included in your job search process. 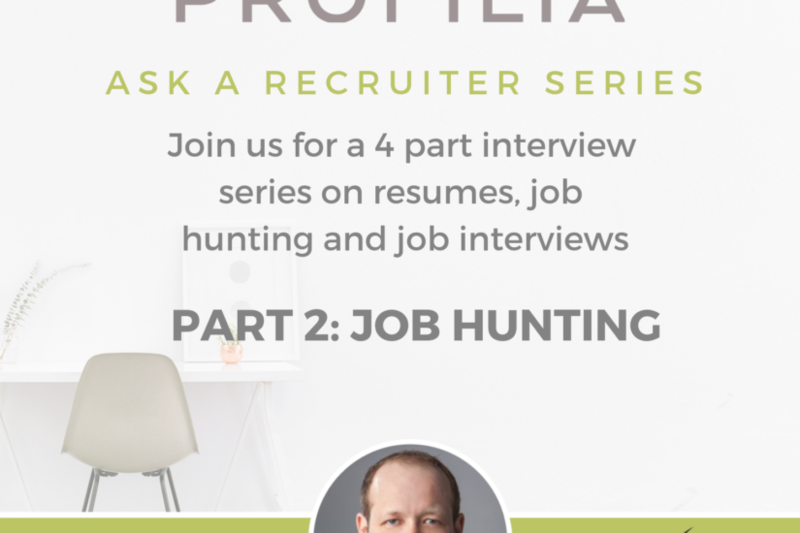 In other words, your message should be consistently clear to your audience across your resume, cover letter, LinkedIn profile, and any other tool leveraged to interact with employers. If you want to be an administrative assistant, then that is what you are, and that is what your message should be on your resume! If you want to be a sales manager, your message should express exactly that. If you want to be the next director of XYZ, then you tell the reader exactly that, and make sure that your message is clear, both in your resume and LinkedIn profile! Simply put: Define it. Embody it. Own it. Be consistent. You may indeed have multiple messages based on who your audience is, and that is certainly ok. In fact, it is even encouraged, as it showcases your understanding of this concept. Nonetheless, if you want to be successfully recruited, you need to start by successfully marketing yourself. A chameleon remains a chameleon, regardless of the color he presents himself under. Green, red or yellow, he is no less of a chameleon. He is simply adapting to his environment, for his own safety, survival and success. This is a rare skill among his animal kingdom peers! That said, an effective job search requires the same skill, and your resume should be the said chameleon. The same story can be told from many different angles, and the angle you choose should be the one to capture your audience’s attention. Believe in what you are selling, and your audience will line up to buy it! Of course, make sure you can back it up though! Be strategic, but always remain truthful! Who is a potential listener? If you want to secure a great harvest, make sure you analyze your soil, understand its optimal growing temperature, and of course, plant the rights seeds! That said, most of the information you will need to get your foot in the door is at your fingertips, and readily available online. Find it, and use it! The job posting itself – Read it in full! What you need to know is usually all in there! The company website – This will tell you about who they are, what they do, and their vision. The company’s LinkedIn page & network – What is their online presence like? What are their latest updates? Who already works for them? Who is their recruiter? Find out!Look closely, and make sure to decode what you find wisely! These resources are talking to you! Make sure to listen! Remember that every reader will have their own opinion and biases, and that they may not always be right, but go ahead and test the waters anyhow! Validate your theory before jumping into job hunting, adjust your aim as necessary. Then, the world is your oyster! An external point of view of the image we project is always very interesting, and can often validate or disprove our own perception of the message we hope to convey. You may think that you are saying X, but in reality, be saying Y. 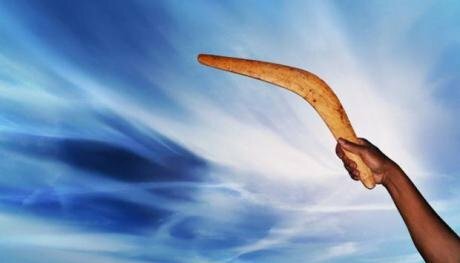 Throw your boomerang in the right angle, and make sure it comes back the way you want it to! Go! While you’re at it, take the opportunity to connect with me too! I would love to share my expertise with you and hear all about your new success stories! There are so many resumes out there - How can I make mine shine?